$22.822 million on 2758 screens. Given the nature of expectations, it seems almost inevitable that when you pack a movie with high-profile talent, you end up with disappointment. Take 2005's The Interpreter, for example. Lead actress Nicole Kidman? Oscar-winner for 2002's The Hours. Lead actor Sean Penn? 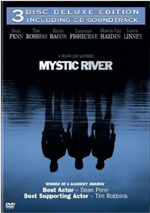 Oscar-winner for 2003's Mystic River. Director Sydney Pollack? Oscar-winner for 1985's Out of Africa. Interpreter won’t win anyone any Oscars, however, and it failed to make much of an impression on audiences either. Yeah, it snared a decent $72 million, but with all that star power behind it, that doesn’t seem like a very impressive sum. That might be because Interpreter isn’t a very impressive movie. Interpreter starts with a quick prologue in which three men go to a remote soccer stadium in strife-ridden Matobo, Africa. They head there to see some bodies that resulted from the excesses of oppressive President Edmond Zuwanie (Earl Cameron). However, this turns out to be a trap. Teen soldiers kill two of the men, but the third (Yvan Attal) escapes. After that teaser, we head to New York and meet United Nations interpreter Silvia Broome (Kidman). When a metal detector malfunctions, the whole General Assembly building goes on alert and forces all staff and visitors to evacuate. Silvia eventually sneaks back to get some belongings, and she overhears part of a mysterious but seemingly ominous secret discussion spoken in Ku, the dialect of Matobo. Of course, since she grew up there, she understands what they said. Matters turn scary when a light goes on and the guys involved see Silvia. After a jittery night, she reports what she heard, a message that she believes means Zuwanie will be shot during an upcoming, controversial speech at the UN. The authorities assign Secret Service agents Tobin Keller (Penn) and Dot Woods (Catherine Keener) to investigate. Along the way, we learn more about Silvia’s past and complications that cast suspicion on her. We also find out issues experienced by Tobin and see how his initially contentious relationship with Silvia develops. On the positive side – potential spoiler ahead! – I’ll give The Interpreter credit for restraint in terms of that last plot issue. Usually a movie that casts two attractive big-name stars like Kidman and Penn would want them to get together romantically. While Interpreter clearly implies an attraction, it avoids the standard payoff. They don’t bang, they don’t kiss – they stay away from that stuff almost completely. This offers a nice subversion of expectations and keeps the film from becoming too standard issue. Otherwise, it’s difficult to find much that makes Interpreter unusual or provocative. For a thriller, it provides precious little actual suspense. Granted, virtually movies of this sort come with a handicap since it remains so incredibly unlikely actual harm will come to one of its big-name stars. It tosses in some lesser lights who can take a bullet – literally or figuratively – for the leads, but we realize that just as James Bond will never die, it’s very improbable that such a fate will befall our stars. 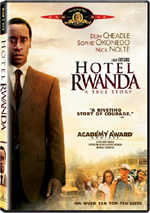 Within those restrictions, Interpreter tells a decent tale and does so in a workmanlike manner. As I alluded earlier, I do like the flick’s avoidance of too many interpersonal elements. We get enough to allow us to invest emotion in the characters, but it stays away from turning into a drippy romance or whatnot. Instead, it sticks with the plot most of the time, and I think that’s to its benefit. The story meanders as it progresses, though, and tends to lose focus in the third act. Since that’s the part of the film that should involve us the most, this becomes a problem. 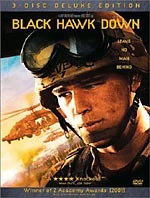 Instead, the movie concentrates on the action and activity too highly and forgets the reasoning behind all the hubbub. This doesn’t ruin the climax, but it makes it less effective. As for our actors, Penn comes off best, perhaps because the movie gives him more of an open emotional range. Interpreter intentionally keeps Silvia as a guarded figure much of the time so it can slowly reveal facets of her past. This means Kidman rarely gets more to do that act scared or bitchy. Again, things open up a bit as the movie progresses, but Kidman doesn’t receive a lot of room to breathe. Keller presents a broader character, especially given complications in his personal life that precede the movie’s events. Penn brings a fine sense of weariness to the role. He avoids the standard action star trappings. Keller exists as a standup guy who does his job well, but he’s unusually human for this kind of part, and Penn invests the role with little ego or bravado. He remains appropriately haunted and wounded, though he doesn’t overplay those feelings. As you can tell from the prior few paragraphs, I can’t find a whole lot about which to complain when I look at The Interpreter. By no stretch of the imagination would I call this a bad movie. However, it simply lacks the necessary impact and depth to make it a particularly good film. It keeps us reasonably involved for its two hours and that’s about it. The Interpreter appears in an aspect ratio of approximately 2.35:1 on this single-sided, double-layered DVD; the image has been enhanced for 16X9 televisions. A mix of good and bad, the transfer was too inconsistent to earn a high grade. Sharpness was the main issue. While much of the movie came across as acceptably concise and accurate, many exceptions occurred. The film frequently turned a bit soft and ill-defined, largely due to the presence of edge enhancement. No issues with jagged edges occurred, but I noticed a bit of shimmering at times. Source flaws appeared absent. Colors came across as somewhat pale, though I felt this was likely a visual choice. The movie used a moderately high contrast look that rendered the hues as lighter than usual. Nonetheless, they were reasonably natural and attractive within those constraints. Blacks appeared dark despite the visual choices, but low-light shots tended to come across as a bit flat. These could appear murky at times. Enough good material popped up to earn this transfer a “C+”, but that’s not a positive grade for a brand-new movie like this. Happily, the Dolby Digital 5.1 soundtrack of The Interpreter proved more satisfying. That happened largely due to the excellent quality of the audio. From start to finish, this mix sounded terrific. Dialogue was consistently natural and crisp, with no edginess or issues related to intelligibility. Music showed bright and dynamic tones. The score always demonstrated nice dimensionality. Effects followed suit. Those elements appeared lively and accurate, and they presented strong bass response when necessary. While the scope of the soundfield wasn’t an impressive, it was perfectly acceptable given the story constraints. Much of the time the audio stayed with general street ambience like cars and other elements. It picked up at times with gunfire and other action-oriented bits. In that realm, the bus explosion was a showcase scene. The moderately restricted soundfield kept this one from “A” territory, but the high quality of the audio ensured it a “B+”. When we move to the supplements, we start with an audio commentary from director Sydney Pollack. He offers a running, screen-specific discussion. The director goes over a few technical issues like locations, effects, the invention of a fictitious language and why he cast himself in a small role, but he mainly sticks with story-related topics. He offers a lot of information about changes from the script, telling the tale in an appropriate way, cuts and pacing, and other issues connected to the way he delivered the plot and character elements. That’s great stuff, but unfortunately, Pollack goes silent an awful lot of the time. If he speaks for more than 20 percent of the available space, I’d be surprised; dead air strongly dominates this commentary. When Pollack talks, he offers excellent information, and his notes are good enough to make this commentary worth your time despite all the empty spaces. Those make it a real disappointment, though. Three Deleted Scenes last a total of two minutes, 20 seconds. None are crucial, though one that shows a chat between Silvia and Dot is intriguing. We also find a two-minute, 59-second Alternate Ending. Called “Naming of the Dead”, Pollack mentions it in his commentary as a polarizing scene that half the audience liked and half hated. Taken out of its context in the film, it’s hard to choose either way, but it’s interesting to observe. A mix of featurettes round out the DVD. We begin with Sydney Pollack at Work: From Concept to Cutting Room. In this 10-minute piece, we see movie clips, shots from the set, and interview snippets with the director. Pollack chats about his origins in film, his approach to making movies, and facets of creating and refining Interpreter. He repeats some of what he says in the commentary, but this format works in a much tighter way and offers a satisfying little overview of some topics. Next comes Interpreting Pan & Scan Vs. Widescreen, a five-minute and nine-second comparison. Pollack talks about how panning and scanning caused him to abandon the 2.35:1 ratio for 20 years but he returned to it for Interpreter. He also shows some shots from the film in their correct ratio and in cropped versions. This feels like preaching to the choir – we own the widescreen disc, Syd – but it may help some folks convert their heathen friends who insist on fullscreen. After this we get The Ultimate Movie Set: The United Nations. This eight-minute and three-second program includes comments from Pollack, location manager Rob Striem, producers Tim Bevan and Kevin Misher, actor Nicole Kidman and director of photography Darius Khondji. We learn of difficulties getting permission to shoot in the UN as well as challenges that came with filming there. This provides a good little synopsis of those issues and works well. Finally, we find A Day in the Life of Real Interpreters, an eight-minute and 17-second view of their world. We hear from Pollack, Kidman, chief interpreter Diana Liao, and French interpreter Brigitte Andreasser-Pearl. We learn a little about Kidman’s research and the creation of the Ku language but mostly we find notes about how the interpreters’ work and their challenges. It’s another brief but effective program. The DVD opens with ads for Carlito’s Way: Rise to Power, Pride and Prejudice, E-Ring and House MD. The Interpreter offers a perfectly serviceable thriller – no more and no less. It benefits from a reasonably tight focus on plot and a lack of genre trappings but simply lacks the depth and intrigue necessary to make it more compelling. The DVD presents drab picture with very good audio and a mix of pretty decent extras. This one might merit a rental but it fails to merit more attention than that.